Formed to promote the equestrian interests on Prince Edward Island and to provide a unified voice for the horse industry in establishing a liaison with federal, provincial, and municipal governments, and provincial, the national Horse Councils and Equestrian Federations, and to encourage the development of all aspects of horsemanship including health, education, training, and competition. A club offering horse training, brokerage, sales, leasing, boarding and breeding, along with riding lessons, group events and horse show support. 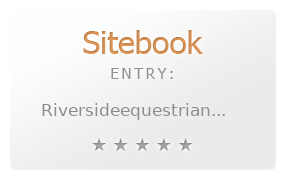 Regional directory for horse enthusiasts. Classified ads for horse businesses and horses for sale. Regional directory for horse enthusiasts in Northern California. Classified ads for horse businesses and horses for sale. Discussion forums for equestrian enthusiasts with topics including English and Western Riding, Horse Care and a section for new horse owners. Information, books and links about horses and equestrian sport for recreational horse owners. Includes a free e-book on buying your first horse. Riding stables offering lessons and horse training by qualified coaches, summer camp and horse boarding. Founded in 1970 to promote equestrian involvement in community affairs of Islip County, New York that may effect horse ownership, to educate horse owners and horse lovers, to sponsor horse shows, and just have fun. Offering information on the club, english and western riding, gymkhana shows, a mounted drill team, clinics and lectures, plus beach and trail rides. A co-operative society that promotes the Irish Sport Horse, maintains The Irish Sport Horse Studbook, and operates schemes to improve quality and to promote equestrian tourism and education. Australian distance learning college providing VETEC approved courses in equestrian coaching, horse health care and safety. Details of principals, courses, study method, international levels and available funding (Australia only). Promoting the Quarter Horse in all facets of equestrian sports. Membership, events and activities, links, and contacts. Horse clubs, events and equestrian camps in and around Riverside, CA. Boarding, training, sales, leasing and riding lessons. 20 stalls, 40 paddocks. Summer horse camp, annual Halloween Horse Show. Located in Wappingers Falls. Records and preserves the pedigrees of the Australian Quarter Horse as well as providing a service for its members which enhances and encourages Quarter Horse ownership and participation in the equestrian sports. Offers calendar of events, membership, registration information, breed standards, newsletter, officers listing, and links. Organized to promote the Morgan Horse for showing, breeding and pleasure use, and to exhibit and educate the public on the versatility of the breed in all aspects of equestrian sports. Organization for all ages and interests of horse riders and equestrian lovers. Includes show schedules for Gymkhana, English and Western shows, Trail Trials and Stock horse competitions. Camp for horse loving girls ages 9 to 15. Unique family style community for campers. 90 acre campus. Focus is on the riders abilities and horse interests. Manufacturer offers natural and synthetic fiber horse brushes. Color photos and descriptions of full product line. Based in Arizona, United States. Southern Vermont camp for horse loving girls ages 9 to 15. Unique family style community for campers. 90 acre campus. Focus is on the riders abilities and horse interests. Organized to foster the enjoyment, use and knowledge of the Morgan Horse, disseminate educational material, sponsor and promote equestrian activities such as clinics, trail rides, and competitive events, and encourage others to do likewise. If the business hours of Riverside Equestrian Center in may vary on holidays like Valentine’s Day, Washington’s Birthday, St. Patrick’s Day, Easter, Easter eve and Mother’s day. We display standard opening hours and price ranges in our profile site. We recommend to check out riversideequestriancenter.com/ for further information. You can also search for Alternatives for riversideequestriancenter.com/ on our Review Site Sitebook.org All trademarks are the property of their respective owners. If we should delete this entry, please send us a short E-Mail.